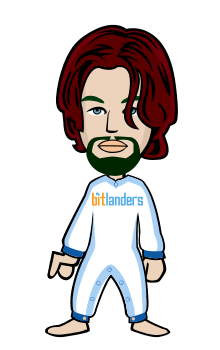 Bitlander is platform make money online where we all come togather to share our thoughts and connecting people. I heared from my friend that bitlander is platform where we spend out liesure time by which we can earn money as part time job but i found recent research that an other social media which will pay you.The first question comes in your mind, what is TSU?So first I have to clear this to you. Tsu is the first social media website that will pay 90% revenue back to you for your activity. This is like Facebook, twitter and google plus, but it will pay you for your time which you will spend on posting. As much time you spend as much you are paid by tsu. The more people view your posts, the more money you will get from tsu in your wallet. So make your connection bigger and open for everyone. refrence it will make you benefit. This is just for support at your back. 2. You can write 14 post daily. This is limit. If you want to write something more then wait for next day. 3. Like above, you can share only 8 posts daily limit. 4. You can also add friends here like facebook, but there is limit of 50 friends per day. 5. you can follow only 1000 people per day. 6. you can like other member's post but only 1000 likes per day. 7. you can mention 10 people per day in you post or comment. 8. you can use 10 hashtags # per post or comment. 9. If you want to comment then comment relevant to the post above. Don't comment any promotion or spam. Many people has very bad habbit to comment like hmm, nice, good, or something like this. This will make you labeled. If you do your account will be black listed. 1. Upload your personal profile picture and cover photo. 2. 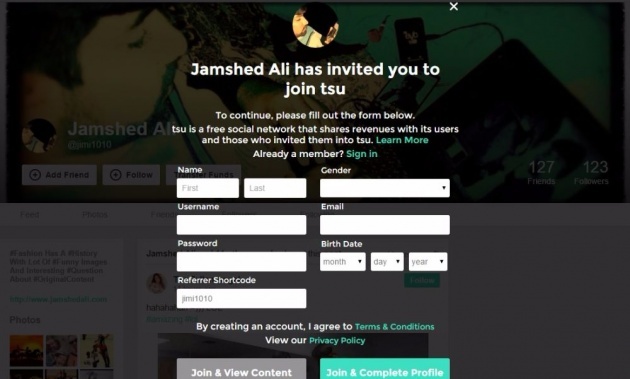 Connect other social media accounts with tsu account. 3. Ensure you click yes to peer to peer payment. 4. Go to tsu bank and agree all terms and conditions.